My little sister has a great fashion sense and she knows what looks great…like these pretty blue jean shorts. She is also a great model and has a ton of patience with me and my shutter-happy fingers:) Please note the funny detail of my reflection in each sparkle on the shorts– happy accident! 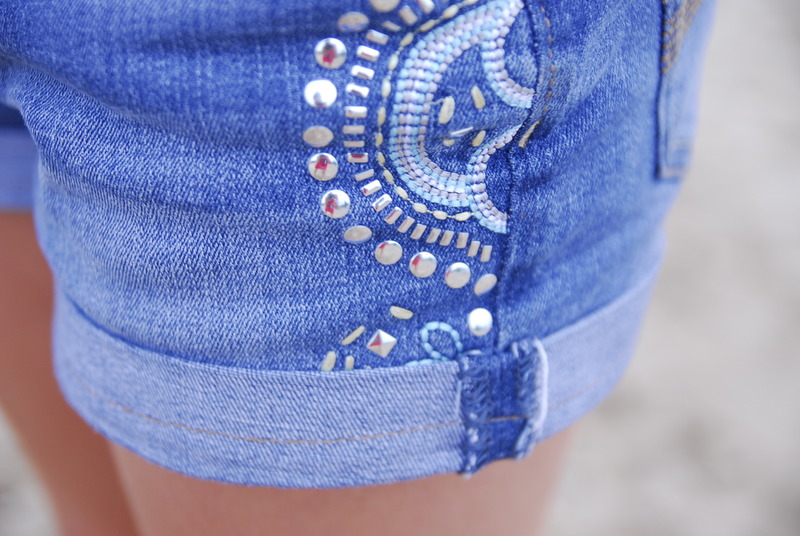 I love this one because I like that your reflection is on the sparkles of the jean shorts. :) What a great shot!!! Sometimes the things we capture by accident turn out to be the very best shots! Happy, happy!